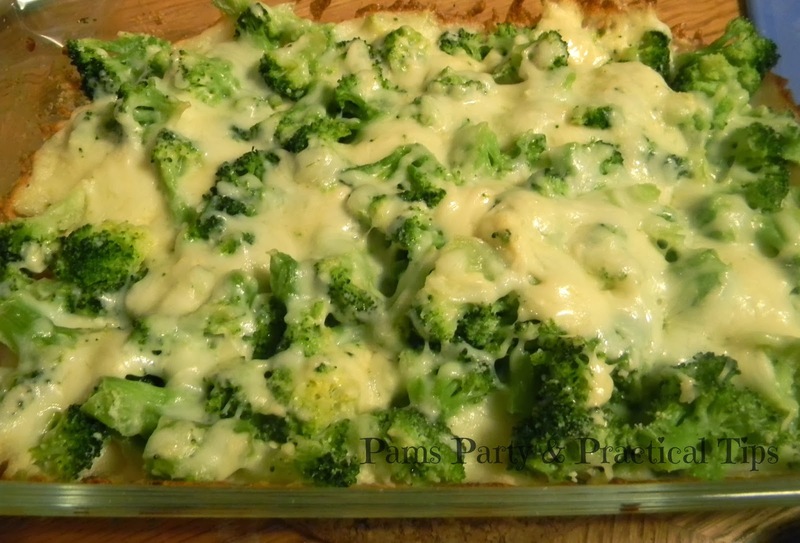 The first recipe I am going to share is Cheesy Broccoli Dip. 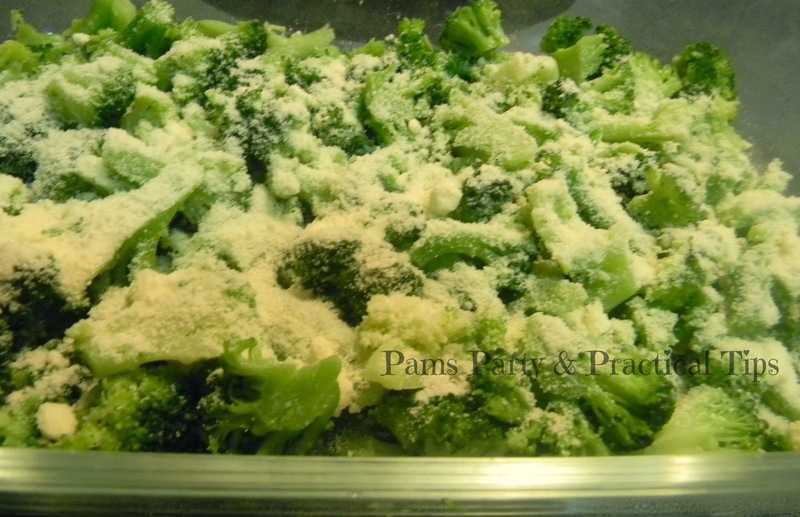 For this recipe you needs a box/bag of frozen broccoli, about a 1/2 cup of grated Parmesan Cheese, a 2 cup bag of Mozzarella Cheese, and 1 cup of Miracle Whip. Personally I don't measure my ingredients for this recipe, I just eyeball it to our particular taste. Preheat oven to 350 degrees. 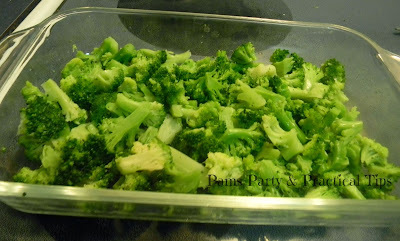 Thaw your frozen broccoli, drain the liquid if needed, and cut into smaller pieces. They do not have to be super small, but I did try and have the pieces small enough to have just one floret. When making my dip, I actually added the ingredients out of order. It's okay though, this recipe is easy to fix. Mix the Miracle Whip, Parmesan, and about 1/2-1 cup of the Mozzarella. (I-2 big handfuls) together with the broccoli. In the picture I added each ingredient separately. I sprinkled the Parmesan over the broccoli until I felt it was a good amount before adding the other ingredients. Bake for 20-25 minutes. 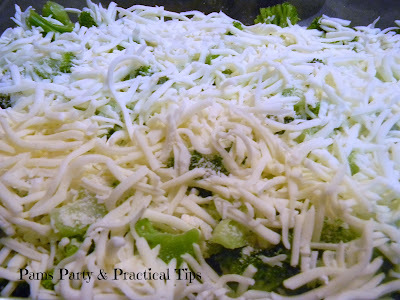 Top the broccoli mixture with more Mozzarella cheese. We love cheese in our house, so I added a lot. Put it back in the oven and bake about five more minutes, or until the cheese has melted. This dip is good with crackers, bread, or tortilla chips. 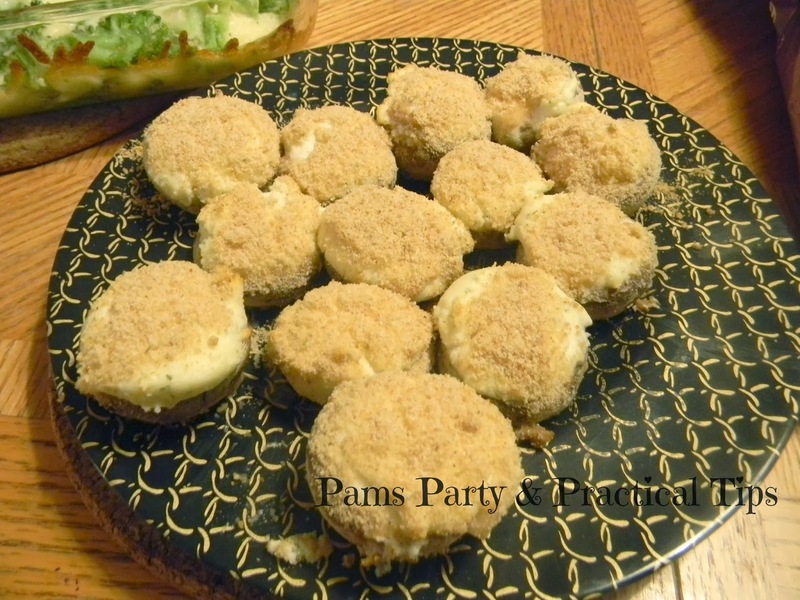 My family also loves these super easy stuffed mushrooms, even the kids who are not big fans of mushrooms. At a recent trip to Aldis, I picked up a tub of cheesy garlic dip, and a container of bread crumbs. 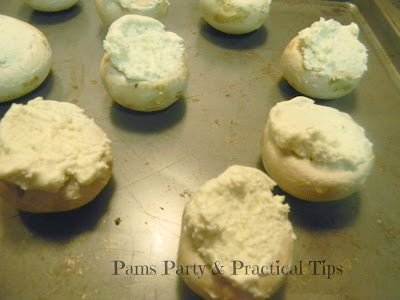 Remove the stems and fill each mushroom cap with a spoonful of the cheesy dip. Sprinkle each of the mushrooms with your favorite breadcrumbs. 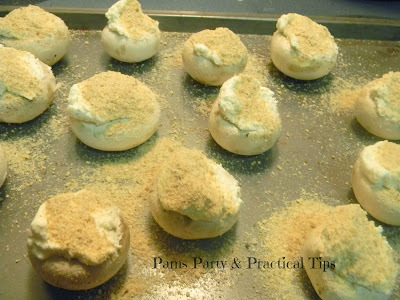 Bake in a 375 degree oven for about 12-minutes. As soon as these were served in my house the kids divided them up and they immediately disappeared. Just thinking about them is making me hungry. I think I need to go make some more. I will be sharing these recipes on the following linky parties that you can find here on my Linky Party board. 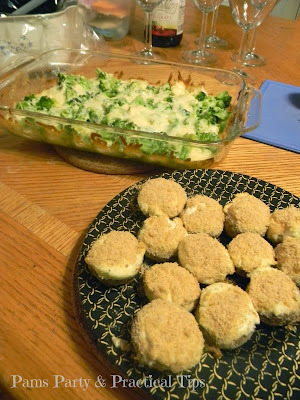 If you would like to see more quick and easy recipes, follow this blog by email to keep up with all the latest posts.